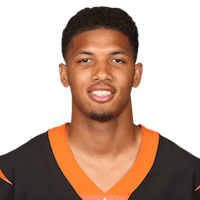 Pick Analysis: Despite experiencing uneven quarterback play during his time at Pitt, Boyd became the most prolific pass-receiver in the school’s history, setting records for receptions (254 in three years) and receiving yards (3,361). Boyd grew up not far from Pittsburgh, and stood out even in a football-crazy state like Pennsylvania, setting the state record with 117 career touchdowns and winning the Class A Player of the Year twice. As a freshman, Boyd didn’t disappoint, garnering third-team All-ACC honors with 85 catches covering 1,174 yards and seven scores. He also ran for 108 yards and earned 425 kick return yards for the season, as well as returning a punt 54 yards for a score in the team’s bowl game. Boyd received first team all-conference nods as a receiver in his sophomore (78-1,261, eight TD receiving) and junior (91-926, six TD receiving, 349 rush yards), while collecting second-team All-ACC honors as a returner in 2014 (442 kick return yards, 162 punt return yards). With all of that production in just three seasons, it was no surprise Boyd entered the 2016 NFL Draft. Published: March 11, 2016 at 04:10 p.m.
Watch Pittsburgh wide receiver Tyler Boyd work out at the 2016 NFL Scouting Combine.